We've got the full suite of shared Hosting. Get 2 months free hosting and a free domain for a year when you buy an annual hosting plan. Our PRO SSD shared hosting uses only raided SSD disks which is at least 15 times faster than its mechanical counter-part, giving you and your website visitors the fastest possible response times even in the most demanding scenarios. Bring your clients, your cooking blogs, your pixel-perfect designs to our flagship web hosting platform. Designed With brain & care. We provide cPanel control panel interface, an extremely user friendly control panel which makes it simple to manage all aspects of your hosting account.Ability to configure e-mail accounts, domain management, website statistics and database administration. Our Services offers website hosting solutions that provides businesses, non-profits, and governmental organizations with a flexible, highly scalable, and low-cost way to deliver their websites and web applications. We provide a secure and reliable hosting environment. Customer websites are hosted on high performance servers, and our data center is equipped with a UPS power back-up generator. We perform 24/7 network monitoring, so if an issue does arise, we can address it immediately. You get what you pay for – we may not be the cheapest web hosting provider out there, however we guarantee maximum quality of service for our clients and their websites. The service that we provide is our number one priority, and making you happy our main concern. You can access your Linux Hosting account using SSH.SSH (Secure Shell) is a Linux-based protocol that you can use to log in to another computer over a network so that you can execute commands on a remote machine and move files from one machine to another. We are always here, and more than happy to help you. If you have any questions or queries we are here for you. No matter what time of the day, what time of the year – we are here and waiting to serve you. 10 Gigabit Ethernet Connections is a world-class rated web hosting technology.A major solution to the bandwidth issue and multiplication of ports. This innovative technology delivers 10x (ten times) the bandwidth, thus bringing a whole lot of relief to issues relating to bandwidth. Get Most out of our hosting today. Our in-house team is on hand 24/7 to not only solve technical issues, but to offer the guidance you need to succeed online. Contact us via live chat! With unlimited space, bandwidth & databases, your site has room to grow. Manage your hosting & email with the World’s most advanced web hosting control panel. We’ve got you covered with outstanding features and We are completely at your service. You can expect 99.9% server uptime. Domain names that are associated with your cPanel account, but don’t have their own content. They point to your primary domain. The number of websites you can host with 1 plan. For shared hosting, additional websites are added using cPanel’s Addon Domain functionality. CloudFlare protects and accelerates any website. CloudFlare automatically optimizes the delivery of your web pages so your visitors get the fastest page load times and best performance. Use Attracta free SEO and Marketing tools to increase search engine traffic for your website. 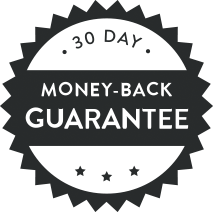 If you’re not satisfied with our services, receive a full refund within 14 days of your signup date. Allow you to send a message in response to your incoming email automatically. Allow you to manage the data which is used with CMS-software such as Joomla, Drupal, WordPress etc. You can easily change cPanel interface language using “Change Language” feature. 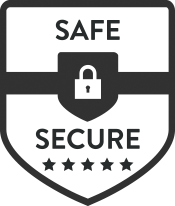 Protect your web-site from many forms of malicious activity online including: comment spam, email harvesting, SQL injection, cross-site scripting, credential hacking and DDoS attacks. Allows you to control how DNS functions. For example, if you want to have a domain point to another IP address and/or domain, add a new CNAME record. Provides automatic website backup solution via Software as a Service. Allows to install SSL certificates. Helps you to analyze the performance of your Website Traffic, Content, Keywords and Marketing. You can install the following blogs on your site using cPanel script installers: b2evolution, Nucleus, WordPress. You can create your own helpdesk and client area. 24/7 Help Desk Support ? You can browse our knowledgebase, view our latest news and announcements and submit tickets 24/7 at our help desk. Your account will be setup once it is activated. You get higher support priority and your requests are processed first. All new web hosting accounts are activated in real time, 24 hours a day, 7 days a week. As soon as you’ve ordered your web hosting we will send you a welcome email containing your account login details. Domains are registered as soon as you order them. Yes,you do not have to buy the web hosting when you buy a domain name. You can pay through Credit/Debit Card, internet banking, Payapl etc., If you face any difficulties in paying the invoice amount kindly contact us we will solve your difficulties. Yes,we provide free hosting trial for one month. Yes you will get the invoice. No,We don’t host such type of website because we our policy doesn’t allow such type of website to host in our server because we keep our netwrork clean.Please contact support if you have further questions. Our server has a minimum speed of 1Gbps network speed and some of our advanced server have 10gbps network speed. Our main shared hosting only allows for MySQL access, though we do have special shared servers that provide PostgreSQL and SQLite, available upon request. We currently offer PHP 5 only. You have the ability to choose between PHP 5.2, 5.3, 5.4, and 5.5. All of our servers use Exim to send and receive mail. You can create as much e-mail accounts as you like and with the help of your control panel, you can set up auto-responders, forwarding, aliasing, and any other mail services at the time of requirement. Yes you can point the domain on us by updating the name server and inserting the iracks’s name server to the domain which you point to us. Yes, SSH-1 support has always been accessible in PuTTY, SSH-2 support. Get started in iRacks Cloud. Explore our cloud plan, or talk to our live sales team.